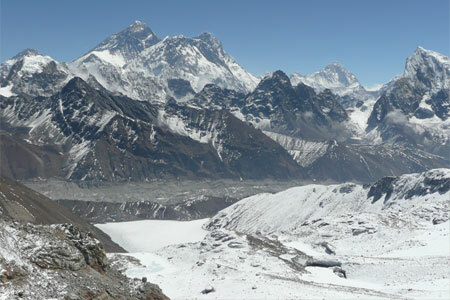 Everest Chola pass trekking is one of the frequently organized trekking routes by Advent Himalayan Treks. 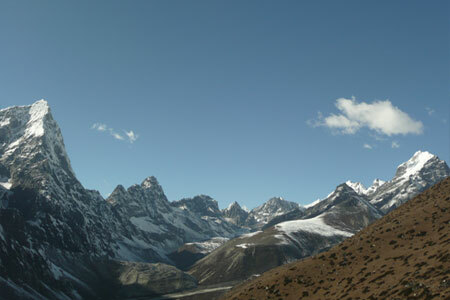 It is considered to be one of the most challenging treks. 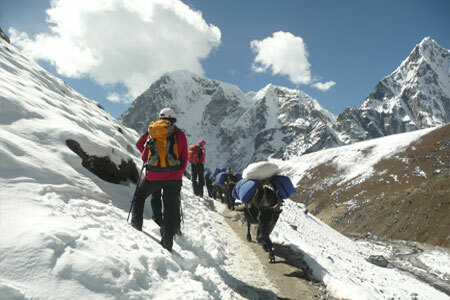 The trek around the Chola pass takes 18 to 21 days whereby we also can visit the Gokyo lake areas and the Everest base camp. 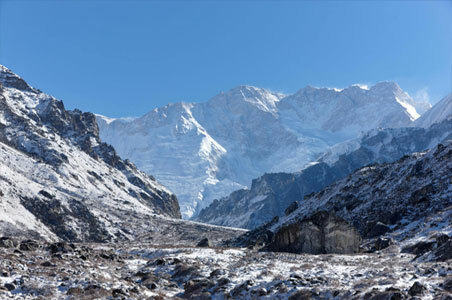 It also consists of some short summit of the peaks such as Gokyo Ri, Chukkung Ri and Kalapatthar for the classic views of icefalls and glaciers of Mahalangur Himalayan range among others. 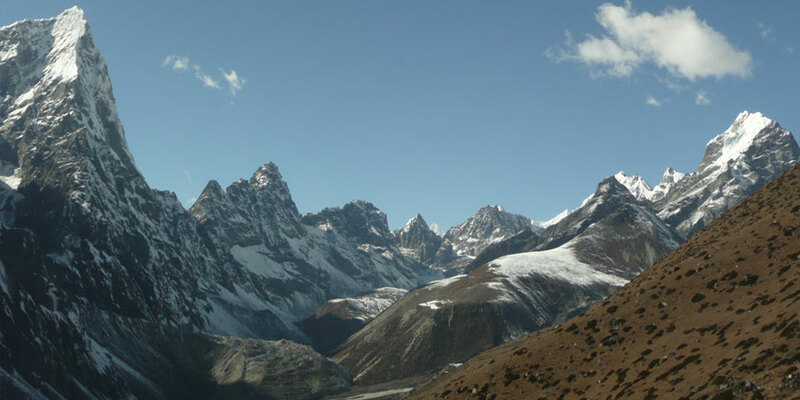 Gokyo lake and Kalapathar peak trekking via Cho La pass trail is considered to be one of most famous treks in Nepal as it passes through the Khumbu the heartland of Sherpa community, the highest mountains of the earth—The Mt. Everest. The Chola pass Trekking begins from Kathmandu to Phaplu by Bus or direct flight by mountain airstrip to Lukla, the heart of the Everest Region, then around three hours walk from the airport we reach at the first stop at Phakding and we continue our trip to the north up to the Dudh Kosi Valley and Namche Bazaar. 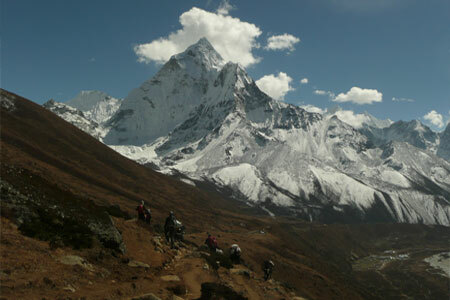 Next day, the trekking continues to Everest base camp, after having one day rest in Dingboche or Pheriche, where we will have some magnificent view of Everest along with Nuptse, Lohtse and Mount Pumori Himalayas or to Dole up ward to Gokyo valley and then either way we return back to lobuche head to Zongla and we pass the Choula and stay over-night at Thangnak. 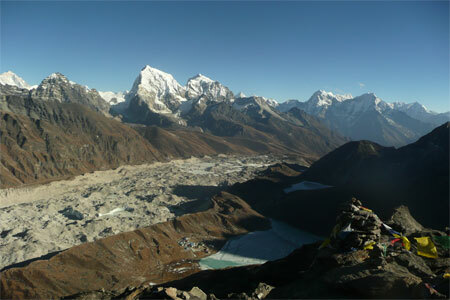 Subsequently, next morning, we trek to Gokyo Lake. The Gokyo Peak (5480m) ascent is the one of the tourist attraction of this circuit, we have incredible scenery, including magnificent views of Everest (8848m), Makalu, Cho Oyo (8153m) and Lhotse (8511m) and more. Then we return back down to Lukla and fly back to Kathmandu again. 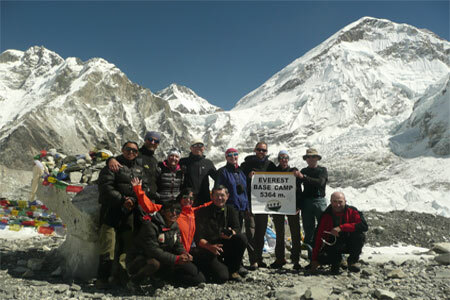 March, April, May and September, October and November is the best season for Phaplu Gokyo peak cho la pass and Everst base camp trekking but we Advent Himalayan Treks arrange all sorts of trekking camping, tented, or tea house, any time whole around the year, as per the requirement of clients.